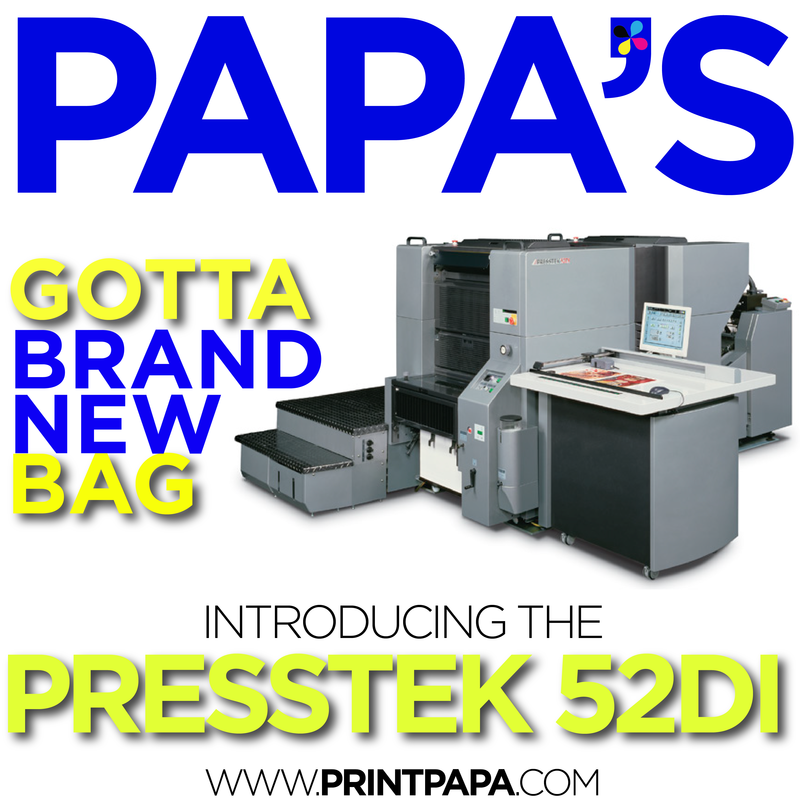 The Presstek 52DI is a highly automated 52cm landscape sheetfed four-color digital offset printing press that combines the efficiency of an all-digital workflow with the versatility and quality of conventional four-color offset. The Presstek 52DI is engineered to deliver the lowest cost per page for print runs of 250 to 20,000 while maintaining its cost advantage in much longer run lengths. The Presstek 52DI is a breakthrough product for commercial printers who must constantly work to reduce make-ready times, increase job throughput and improve productivity to remain successful in an increasingly competitive and demanding marketplace. The innovative 52DI eliminates the expense of a separate plate production process and all of the extra steps associated with off-press plate imaging. Instead, prepared digital files are sent via a high-speed network directly to the press where plates are automatically advanced and mounted on the press cylinders and imaged simultaneously—in perfect register. This entry was posted in Marketing, New @PrintPapa on March 15, 2017 by Shawn Nag.